1 I waited patiently for the LORD; he turned to me and heard my cry. 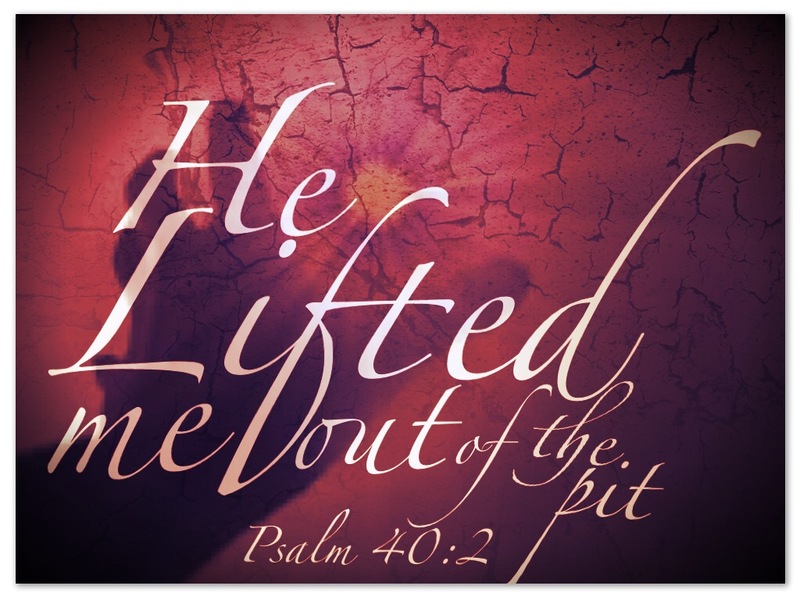 2 He lifted me out of the slimy pit, out of the mud and mire; he set my feet on a rock and gave me a firm place to stand. 3 He put a new song in my mouth, a hymn of praise to our God. Many will see and fear and put their trust in the LORD. 4 Blessed is the man who makes the LORD his trust, who does not look to the proud, to those who turn aside to false gods. 5 Many, O LORD my God, are the wonders you have done. The things you planned for us no one can recount to you; were I to speak and tell of them, they would be too many to declare. 6 Sacrifice and offering you did not desire, but my ears you have pierced burnt offerings and sin offerings you did not require. 7 Then I said, “Here I am, I have come– it is written about me in the scroll. 9 I proclaim righteousness in the great assembly; I do not seal my lips, as you know, O LORD. 10 I do not hide your righteousness in my heart; I speak of your faithfulness and salvation. I do not conceal your love and your truth from the great assembly. 11 Do not withhold your mercy from me, O LORD; may your love and your truth always protect me. 12 For troubles without number surround me; my sins have overtaken me, and I cannot see. They are more than the hairs of my head, and my heart fails within me. 13 Be pleased, O LORD, to save me; O LORD, come quickly to help me. 14 May all who seek to take my life be put to shame and confusion; may all who desire my ruin be turned back in disgrace. 15 May those who say to me, “Aha! Aha!” be appalled at their own shame. 17 Yet I am poor and needy; may the Lord think of me. You are my help and my deliverer; O my God, do not delay.